You’re a coder with the skills to pay the bills, but the freezing Monday morning commute to a sterile office has you singing the blues. What’s a developer to do? Shut down your boring existence back home and restart life in the tropics by Living in Thailand. You don’t have to wait until you’re old and retired to move to Thailand. We can’t really blame the Baby Boomer generation for being slow to grasp the full power of the internet. For them, a job was a place you went. You commuted. You clocked in. You sacrificed to stay for overtime. You generally hated every minute of it. But after 40 years you could finally retire and move to a tropical paradise. Freedom found, even if it took becoming a grumpy old man to get there. Most older expats would encourage you to take the same route to living in Thailand as they did. They can’t quite wrap their heads around the fact that it’s no longer necessary to waste your youth at a job you hate in a place you don’t want to be. Or maybe they’re just jealous that remote work wasn’t a possibility back when they were in their 20s and 30s. You might actually love the work you do. It’s interesting, challenging, rewarding, and pays well. But the dark winter afternoons and snow lasting into April have you down. If you’re a freelance web developer, graphic designer, mobile app developer, or software engineer then the choice shouldn’t be too hard. You already have freedom to work from wherever you want, it’s just a matter of packing up and going. If you work for a company, on the other hand, the only tricky part is convincing the management that your physical presence in the office doesn’t really matter. If they’re smart they’ll realize that remote work reduces the company’s overhead. Keeping your current job and salary while relocating to an inexpensive tropical country is a win-win for everybody. Why move to Thailand in particular? Let’s look at what Southeast Asia’s premier destination has going for it. With summer starting to show in Europe and America, you may have forgotten about the cold already. Before you know it though, you’ll be bringing your sweaters out of the closet and the snow blower out of the garage. Wouldn’t it be nice if you could make summer last forever? You can, simply by moving to Thailand. While the Western world is buried deep under snow, Northern Thailand experiences a mild cool season. Daytime highs in Chiang Mai for the month of January average 30°C (86°F), with the average overnight low a relatively “chilly” 15°C (59°F). If that still sounds to frigid for your tastes, you can try Southern Thailand instead. January highs in Phuket average 32°C (89°F), with the nighttime temps dipping down to a balmy 22°C (71°F). Many people save up their hard-earned money to be able to take one vacation a year to a halfway decent beach. Living in Thailand, you could head to the beach every weekend if you really wanted to. Phuket has around 30 beaches of its own, not counting those on all the surrounding islands. If you move to Phuket , you could easily spend half a year exploring a different beach each week. Bangkok isn’t so far from the beach either—a short road trip takes you to Hua Hin or Pattaya. 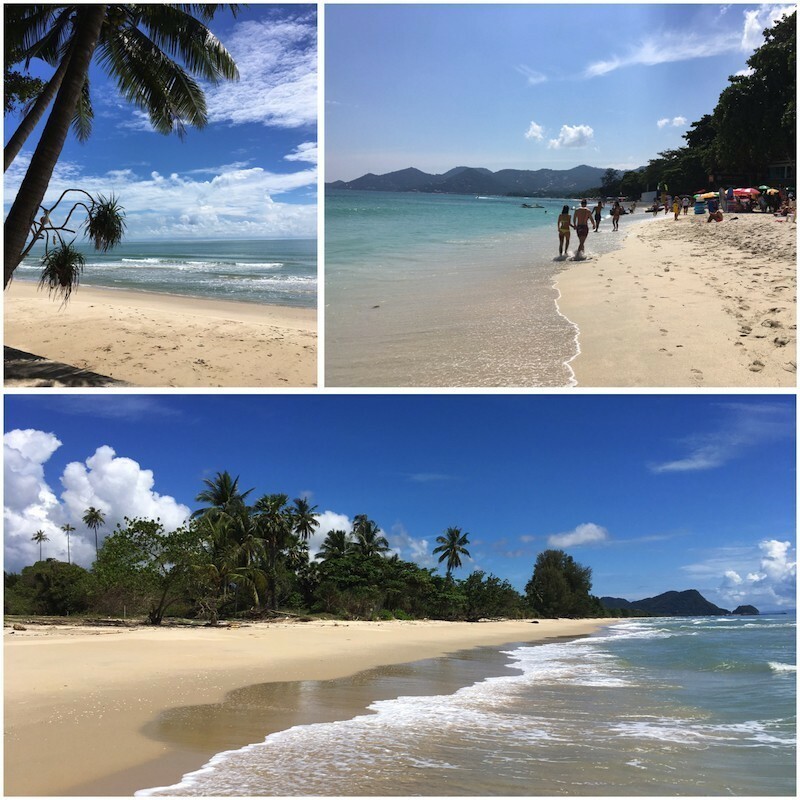 Long weekends (and Thailand has plenty with over a dozen National Holidays) are perfect for longer trips to some islands like Koh Samet and my personal favorite, Koh Chang. The northern city of Chiang Mai, admittedly, is nowhere near the sea. But a short 2-hour flight puts you in Krabi, Phuket, or Koh Samui. Thailand also has no shortage of idyllic islands to spark your imagination. Aside from those already mentioned are many islands large and small, ranging from party hotspots to quiet getaways. Some, like Koh Phangan, can be either tranquil or bustling depending on which side of the island you visit. Koh Phi Phi, Koh Lanta, Koh Lipe, and Koh Tao are a few others that routinely round out top-ten lists of Thai islands. Whether you consider yourself to be a religious person or not, you can’t help but admire the way spirituality infiltrates daily life in Thailand. Nearly every home and business will have a small Buddha image perched in an elevated shrine on the wall. Outside, they are likely to have a spirit house, where daily offerings are given to non-human landlords. If you’ve ever rode in a Bangkok taxi, then you no doubt noticed most of them have a miniature shrine on the dashboard, with jasmine garland offerings hanging from the rearview mirror. If you happen to be up and about at 6am in any Thai town or city, you’ll see barefoot monks in orange robes walking about carrying alms bowls to collect their food for the day. Colorful temples, with golden spires shining under the tropical sun, are everywhere you look. 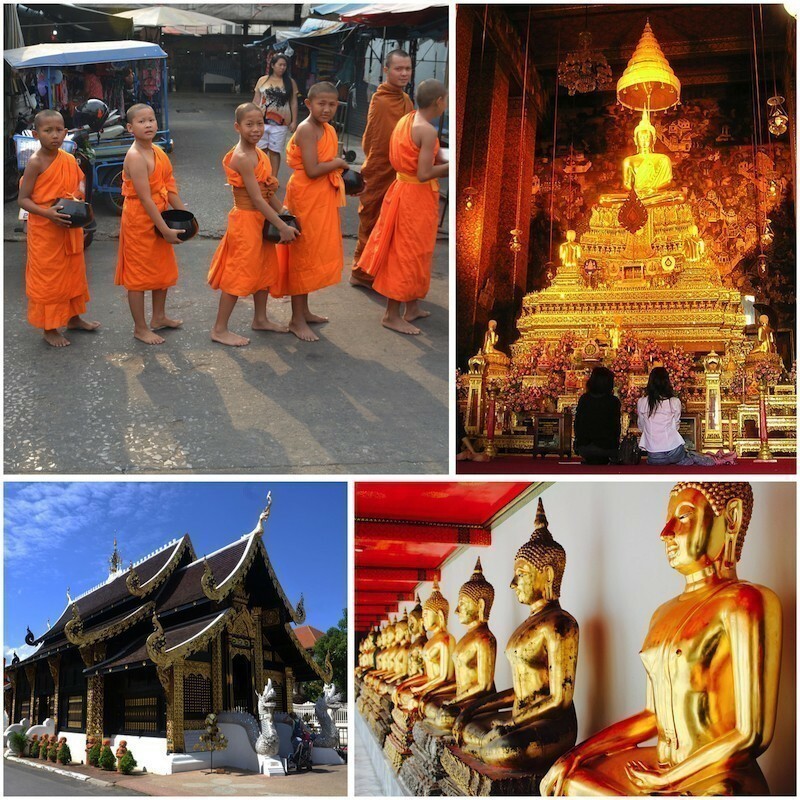 Chiang Mai, in particular, is said to have over 300 temples, with over three dozen located in the mile-square old city alone. When a Thai buys a new car or motorcycle, the first thing they do is take it to the temple to have the vehicle blessed by a monk. It’s also usual to invite monks to bless the premises when opening a new business or before moving into a new home. Shopkeepers offer sticks of incense each morning to local spirits before opening shop. Even if you don’t believe in such things yourself, it’s certainly more interesting to live in a land where magic still exists. You won’t find most Thais meditating in the middle of the forest, and yet their Buddhist background seems to give individuals an easygoing nature. Thai culture places importance on not losing one’s cool. Letting life’s minor disturbances get under your skin and blowing up in public are looked down upon. In most areas of life, there is no pressure to be politically correct. People can just say what’s on their mind. For example, if you’ve put on some extra weight, your Thai friends won’t be afraid to tell you that you look fatter. There’s no harm intended—they’re just pointing out the obvious. Coworkers can joke around with each other without fear of harassment charges. Thai people, in general, just don’t overreact to things. If you do put on any weight after moving to Thailand, it will likely be due to the local Thai food being too darn good to put down. Thai cuisine is well-known throughout the world, but the dishes served in Thai restaurants abroad never quite match up to the real thing. Famous for it’s spiciness, well-prepared Thai food actually strikes a balance between sweet, sour, salty, and spicy flavors. A few dishes such Pad Thai and Tom Yum Kung may already be familiar to you, but you’ll find there is a surprising variety in Thai cuisine. For example, have you ever had coconut palm heart curry or stir fried jackfruit? Both are excellent. 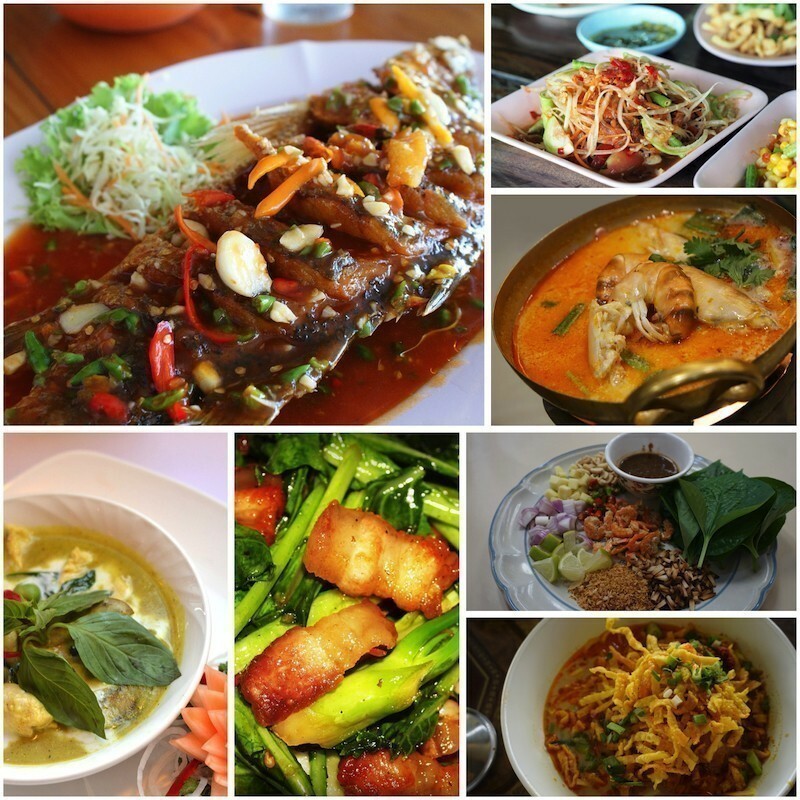 If you want to learn about lots of Thai dishes, we’ve got an app for that. Eaten in moderate portions, Thai food can be very healthy. A wide array of herbs and vegetables add not only flavor, but lots of micro-nutrients too. If you gain weight after moving to Thailand it’s either from eating too much white rice, drinking too much beer, or from too many sweet drinks and snacks. The average Thai person is far smaller than the average American or Australian. Only in recent years has the younger generation gotten chubbier as a result of too many sugary drinks. Food portions at restaurants are sensible—leaving you no longer hungry, but not stuffed either—unlike the ginormous amounts piled onto the plates of American diners. Thailand definitely has a snacking culture. People eat between meals throughout the day, but not a lot at one time. One of the best parts of eating in Thailand is the immense variety of fresh tropical fruit available at any given time. With just bananas alone, you’ll find a huge selection. Aside from the larger Cavendish banana that you’re used to, you’ll see others like the short, stubby “egg bananas” and thin, elegant “lady fingernail bananas.” All of them are packed with flavor, having been picked at the optimal time and not spending weeks in shipment. Other Thai fruits you’re probably familiar with are mango, pineapple, papaya, guava and tangerine. Coconuts, you also surely know of, but being able drink the juice of a freshly cracked and chilled coconut anytime you want is going to become a new source of joy. Durian is notorious for its strong smell. The spiky-shelled fruit isn’t allowed in most hotels or public transportation as a result. Once you get past the initial smell, you’ll find durian can be addicting. It has a thick, creamy texture and is incredibly sweet. Be sure to eat your durian in moderation, as it can spike your blood sugar levels. There’s also a widely-known (yet scientifically unproved) myth that consuming durian and alcohol together can be a lethal combination. 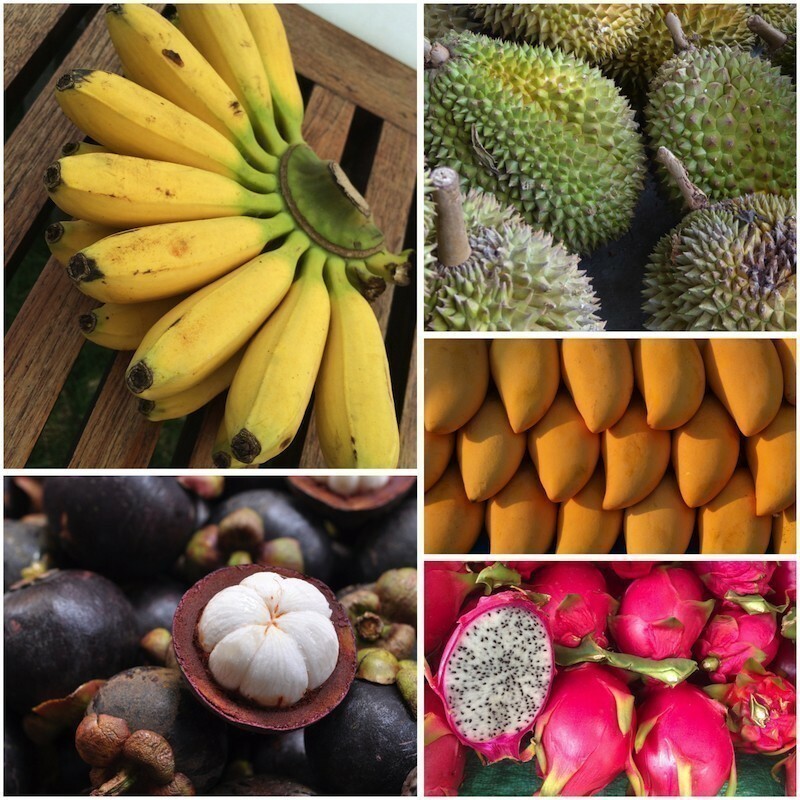 Mangosteen, custard apple, rose apple, dragon fruit, jackfruit, rambutan, lychee and pomelo are some other Thai fruits that you need to try. Some fruits such as banana, guava, and papaya are always plentiful year-round, while other seasonal Thai fruits arrive at different times. One of the fascinating aspects of living in Thailand is seeing how it’s a meeting point of different Asian people and cultures. Nowhere is this more obvious than in Bangkok, where you have a one of the largest Chinatowns in the world, two Little Indias, a Little Tokyo, a Korea Town and an Arab Street. Thai culture itself is largely a blend of Indian and Chinese influences. In ancient times, Southeast Asia was the halfway point of maritime travel between the Indian and Chinese civilizations. Buddhism and a writing system came from India. Ceramics, tea, and noodles came from China. Thai language, with its tonal aspect, has its origin in China, but much of the vocabulary is borrowed from India. In modern times, Bangkok is an international air travel hub and top holiday destination for people from all over the world. Living in Thailand puts you in easy reach of places like Angkor Wat, Bali, Kuala Lumpur, Singapore, Hong Kong, Shanghai, Beijing, Seoul, Tokyo and Kathmandu. 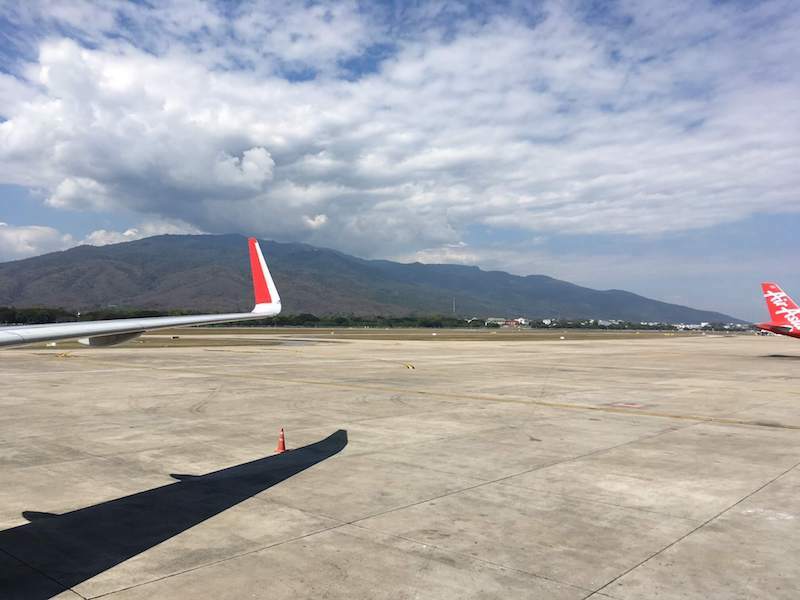 Chiang Mai and Phuket are well-connected with international airports as well. When I fly back home, it’s usually directly out of Chiang Mai to Seoul, where I change to a US-bound plane. Bypassing Bangkok saves a lot of time and money. Chiang Mai’s airport, in particular, is conveniently located right inside the city. For domestic flights you can literally hop out of bed, drive across town, stroll up at boarding time, and be airborne in under an hour. Much has been written on Thailand’s low cost of living. In particular, the digital nomad crowd has flooded the interwebs with articles on living in Chiang Mai on USD $500 a month. Technically this is possible to do. After all, the average Thai employee in Chiang Mai earns less than $500 for their monthly salary. But they also have a support network of family and friends, have inside knowledge on how to live cheaply, are content eating inexpensive Thai food 3 meals a day, and don’t have to spend money on things like visas. It’s irresponsible to promote the idea that $500 per month is a realistic living budget for foreigners migrating to Thailand. Living in Chiang Mai for USD $1000 (35,000 baht) per month, on the other hand, is definitely possible, and can be fairly comfortable so long as you don’t have any expensive hobbies like golfing or wine drinking. When you bump up your living budget to USD $1500-2000 (52,000-70,000 baht) per month, you get into the range where you don’t really have to keep tabs on your daily spending. This is also the range where it gets easier to live in more expensive areas of Thailand such as Bangkok and Phuket. To spend USD $3000 (105,000 baht) per month in Chiang Mai, you probably need to be drinking lots of Bordeaux wine or Johnnie Walker Gold Label, buying new clothing each week, or eating sushi every night. If you’re coming from a country with a sensible national healthcare system, this might not be such a big selling point. If you’re American, however, you know that the healthcare system over there is a complete disaster. You can get high quality treatment, of course, but it might cost your house to do so. If you get sick in Thailand, on the other hand, you can meet with a doctor and receive prescriptions right at the hospital or clinic for very affordable prices. Even if you don’t have insurance, and pay out of pocket, anything short of surgery won’t break the bank. If you work and pay taxes here, though, you can join the Thai social security system to get free healthcare at your chosen hospital. For modern digital professionals, good internet speed is critical. You’re not going to be very productive if you need to wait forever for each page to load. Bali is one of the nicest places to live, but the one common complaint of freelancers based there is the snail-like internet. Thailand isn’t quite on par with the world leader South Korea, but it can still brag about having the fastest average internet speed in Southeast Asia. I wouldn’t recommend depending on the shared internet used by everyone in your apartment building. Dedicated lines are quite affordable. For about 900 baht per month (USD $26) you can get a fiber 100/30 Mbps plan. And if you pay just a little bit more, even faster plans are available. Maybe the best reason to move to Thailand is simply that it’s a fun place to be. People from all over the world flock here for their holidays for a reason. You can bet that anyone coming over here for a week is going to be jealous of those who can find a way to stay all the time. 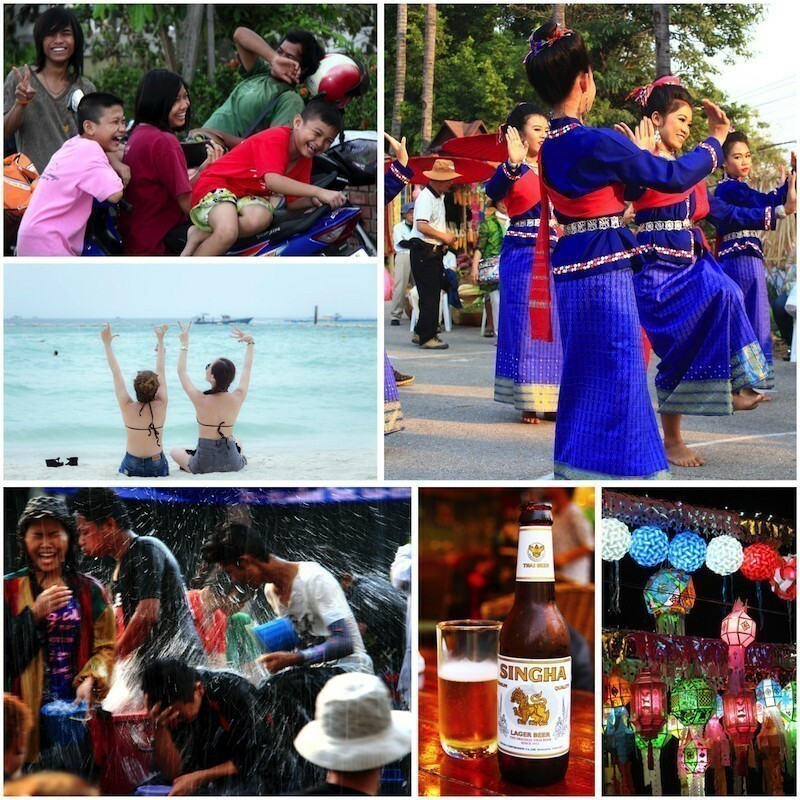 There are many ways to have fun in Thailand, it simply depends what interests you. OK, Thailand Sounds Great. How Can I Stay There? If you’re a digital professional with the necessary educational and/or work experience qualifications, Iglu can help you relocate to Thailand to base yourself in Bangkok, Chiang Mai, or Phuket. You could be either a freelancer with your own clients, an entrepreneur, or someone wanting to set up a remote work agreement with your current company. Iglu’s international employees are paid a monthly salary in local currency based on 70% of the amount that Iglu invoices your work clients. All your Thailand income tax and social security payments are covered in the other 30%. This amount also covers the use of Iglu’s office spaces with high-speed wifi and all the espresso coffee you can drink. On top of that, Iglu’s support team cuts through the government red tape for you. We make the process of getting a 1-year renewable business visa and work permit as painless as possible. Visa renewals and Thailand’s mandatory 90-day reporting for expats are also super easy thanks to Iglu’s awesome staff. Check out the details of Iglu’s relocation program to see if you qualify. Moving to Thailand is a Big Step. What Should I Expect? It’s not everyday that you pack up and move half-way around the world. You’re naturally going to have a lot of questions. Your first month in Thailand will be full of new experiences, and you’ll also be busy taking care of practical matters. To make the transition as smooth as possible, be sure to read our guides on Thai Culture and the First 30 Days in Thailand. Let’s also look at some concerns that might be on your mind before you arrive. Where to Live in Thailand? Iglu has offices in Bangkok, Chiang Mai, and Phuket. Each location has its particular advantages, depending on your preferences and lifestyle. If you’re into big cities with nightlife, Bangkok is the obvious choice. Chiang Mai is a medium-sized city that’s easy to navigate, close to nature, with a unique Northern Thai identity. Phuket puts you right in the middle of white sand beaches and some of the best diving spots in the world. 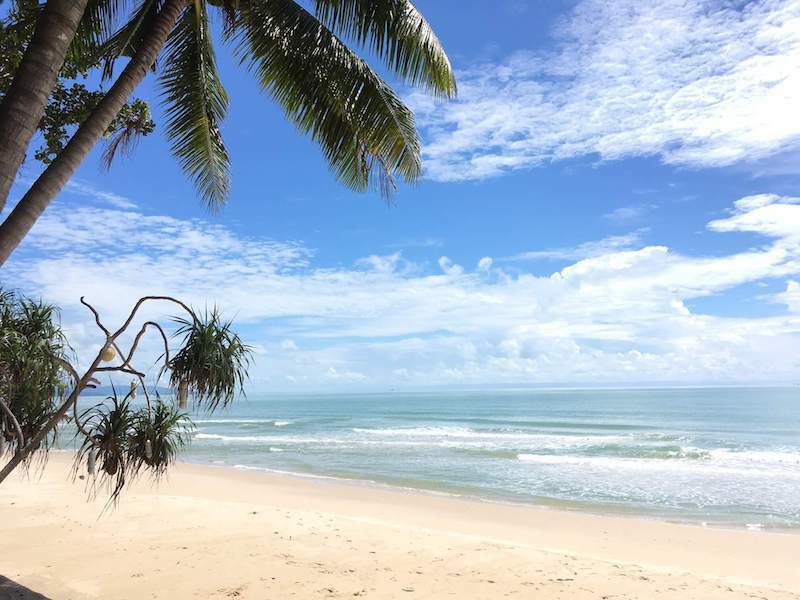 As far as climate goes, Phuket has the most stable year-round temperatures. The hot season is not so hot, and the cool season is not so cool. In Chiang Mai, the Nov-Feb cool season is significantly cooler, especially at night. The hot season in March-May is quite hot, and the air can get smoggy. The June-Oct rainy season (or “Green Season“) is warm with frequent rain of short duration. Bangkok is fairly hot all year-round. It also has hot, cool, and rainy seasons, but the cool season doesn’t get all that cool. Chiang Mai has many foreign retirees and younger digital nomads, Chinese package tourists and European backpackers. The locals are a mix of Thais, hill tribe peoples, and migrant workers from Myanmar. It’s also a university town. Chiang Mai University dominates the western side of the city, and there are a half dozen other universities and many smaller colleges around town as well. Bangkok is where the highest concentration of Thailand’s “elite” live. Most of the big politicians, company CEOs, and celebrities all have homes in Bangkok. It also has a huge working-class, with many taxi drivers and other blue-collar workers coming from the Northeast and other parts of the country. Expats in Bangkok come in all types, everything from fresh-out-of-university native English teachers to Japanese company senior managers can be found. It’s a huge city, with an official population of over 8 million, though the actual number may be closer to 10 million when all those without official residence are included. Phuket experiences a large fluctuation between high and low tourist seasons. With the Nov-Feb high season, not only does the island’s population expand with a large number of foreign tourists, but there are also more Thais from other parts of the country who arrive to work in the service industry. During the wet season from May-Oct, things are much quieter. Though it rains more often during that time, there are still plenty of sunny days, making it a good time to enjoy emptier beaches. 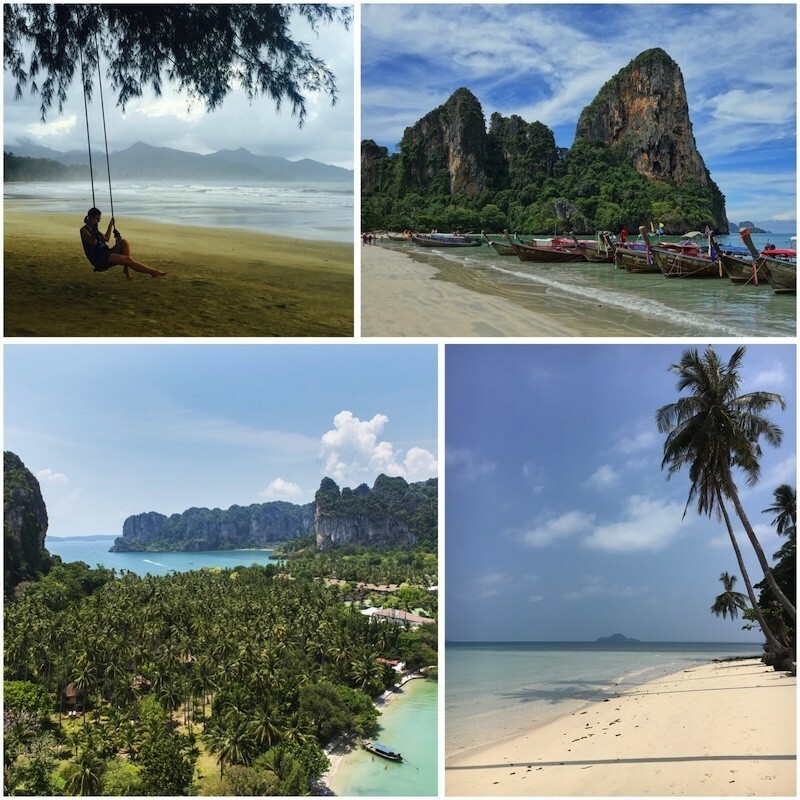 If you’re not quite sure where you want to base yourself in Thailand, I would recommend coming over as a tourist first to see each place and get a feel for which you like the best. What’s it Like to Work in Thailand? Your experience of working in Thailand will depend entirely on where you work. For example, if you worked as a teacher in a Thai school you would have to follow a dress-code and partake in many formalities like morning assembly. You’d be expected to give polite greetings to senior Thai teaching staff and department heads. And of course, you’d have to stick closely to schedule. As a programmer or web developer working at Iglu, your experience would be much different. The offices have a casual environment. There are people from a bunch of different countries all working on their own various projects. Everyone can get their work done without any stuffy formalities. Your working hours depend on you and your clients. If you like lattes or cappuccinos, the espresso machine is free to use whenever you need a caffeine boost. Do I Need to Speak Thai to Live in Thailand? You can easily get by in Thailand using just English. Thailand has a large tourism industry, and most foreign tourist obviously can’t speak any Thai. If you want to distinguish yourself from the tourists and have a deeper experience while living in Thailand, it’s of course advantageous to learn some Thai. Knowing some Thai can help you to get cheaper prices, make friends with locals easier, and appreciate many aspects of daily life in the country. It might sound totally alien to you the first time you hear Thai being spoken, and the writing might look like a bunch of random squiggles, but it’s actually not all that hard to learn. Iglu has free group lessons with a native Thai teacher once a week at the Bangkok office. There are tons of Thai language learning resources around. Videos and audio lessons are particularly good for picking up the unique sounds of the Thai language. Books are more helpful once you get the basics down first. How Can I Meet People in Thailand? There are tons of ways to meet people and make new friends in Thailand. For starters, when you come to work at Iglu you will instantly join a community of over 130 people from all over the world. You can network with other Iglu international employees through our private Facebook group, in person at the office, and at company events like the annual Christmas party, overnight bike trips, and karaoke nights. You’ll find we’re a friendly bunch. There are lots of online resources for meeting up with people who share similar interests. If you identify with the digital nomad crowd you might want to join one of the Facebook groups in your chosen location. You can also browse the Meetup groups for Bangkok, Chiang Mai, or Phuket. If interested in dating, there are lots of country-specific dating apps and websites for Thailand. You can do a Google search—I’m not going to recommend any in particular. It’s an easy way to meet people, but hard to say that you’ll find Mr or Miss Right on one of them. You can also try the old-fashioned way and simply talk to people you meet in daily life. You’ll want to download the LINE messaging app to your smartphone. It’s by far the most popular messaging platform in Thailand. The emoji-style stickers that come with the app are all really expressive and make chatting fun. If you meet someone and start to hit it off, asking for their LINE ID is definitely the way to go. What If I Get Tired of Eating Thai Food? You’re bound to be in the mood for something other than Thai food at some point. Have no fear—the selection of international food in Bangkok, Chiang Mai, and Phuket is huge. Japanese restaurants are extremely popular. You’ll also find lots of Italian and Indian food places. Some other cuisines that you’ll have no trouble locating are French, German, Middle Eastern, Scandinavian, Korean, Vietnamese, and Mexican. If you like to cook for yourself, international supermarkets stock lots of the essential ingredients you’ll need. For the basics, such as vegetables and meat, you can find much of what you need at local fresh markets. Will I Get Homesick When Living in Thailand? Culture shock is a common phenomena experienced by those moving to a new country. The first stage is a “honeymoon” period where everything about the new culture feels new and exciting. This can be followed by a rejection stage, in which you pay closer attention to the negative aspects of the new culture. In this stage, you feel yourself making many comparisons between your new home and your old one. After this comes an adjustment stage, in which you begin to feel more comfortable and at ease in your adopted home. Making an effort to learn the local language can help you get to this adjustment stage sooner. Finally, one reaches a stage of acceptance where you can simply accept that one culture may not be better than the other, but that they are simply different. You are bound to feel homesick at some point, but it’s very easy these days to keep in touch with anyone no matter where you are in the world. You can seek out certain foods that remind you of home, and it also shouldn’t be too hard to keep up with any sports teams or favorite TV programs from back home via the internet. When homesickness gets to be too much, though, the best solution is to simply take a trip back home for a visit. It’s nice to go and see friends and family once a year or so. You could also talk your friends or family into taking a trip to Thailand to visit you. When winter rolls around you might not have to try too hard to convince them to come take a break in sunny Thailand. Don’t wait for the snow to start falling, contact Iglu to see how you can relocate to Thailand and start living the good life.